A new study says a multimodal treatment regimen of chemotherapy, radiotherapy, and surgery shows an ‘impressive’ one-year survival rate for patients with malignant pleural mesothelioma (MPM). Presented at the at the 8th Annual European Lung Cancer Congress (ELCC), the study evaluated data from 681 MPM patients from the Surveillance, Epidemiology, and End Results (SEER) database (2004-2013). Of the 681 patients, 176 underwent surgery alone, 74 underwent surgery followed by radiotherapy, 307 had surgery followed by chemotherapy, and 124 received chemotherapy, radiotherapy and surgery. According to Pharma Industry News and Analysis publication FirstWord Pharma, patients were stratified according to what type of treatment they received. For the group of patients receiving multiple modality therapy, one-year survival was achieved by three (100%) patents with nodal stage N3; by 22 (73.7%) patients with N2 disease; by 35 (87%) of patients with N1 disease, and by 63 (77.7%) patients with N0 involvement. Patients with epithelioid or biphasic histopathology performed better, with one-year survival rates of 81.9% and 89.1%, respectively. One-year survival for patients with sarcomatoid tumors was 15%. The study concluded that one-year survival rates were highest in MPM patients receiving multimodal treatment. One-year survival rates for patients receiving multimodal treatment were 79.6% compared with 70.3% for patients treated with surgery followed by radiotherapy, 62.2% for patients receiving surgery and chemotherapy, and 37.9% for patients having only surgery. If you have been exposed to asbestos, see your doctor right away. Although there is no cure for mesothelioma, early detection often leads to better treatment options such as multimodal therapy. As the study demonstrates, this combination of chemotherapy, surgery, and radiotherapy could have better outcomes than each standard treatment alone. 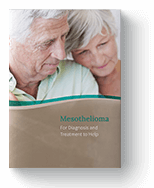 “Multimodal treatment for mesothelioma shows survival benefit.” ActionRadiotherapy.org. Action Radiotherapy, 30 Apr. 2018. Web. 09 May 2018. Powers, Jenny. “Analysis Supports Combination Therapy in Patients with Malignant Pleural Mesothelioma: Presented at ELCC.” FirstWordPharma.com. Doctor's Guide Publishing Limited, 17 Apr. 2018. Web. 09 May 2018.